7.7" x 5.8" stitched on 14 count. 6.0" x 4.5" stitched on 18 count. 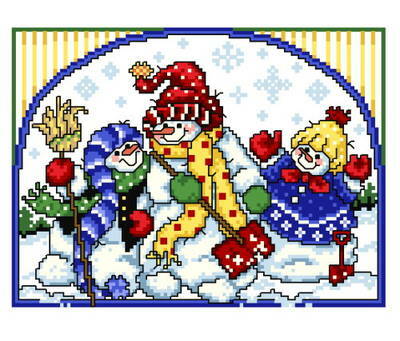 3 Cheery Snowmen cross stitch pattern... Snowmen can be best buddies,too. So get out in the snow in your colorful garb and share the joy.